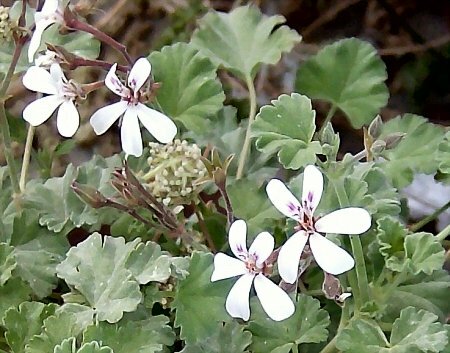 Nutmeg Scented Geranium is always one of the first to bloom in the spring. 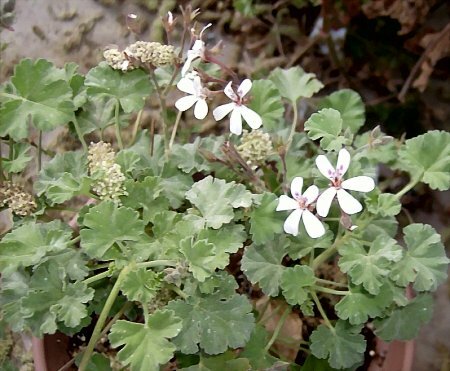 Nutmeg geranium is one of the early spring bloomers. Another tiny white flower, too. I’m watching for seedheads. The leaves have a soft velvety texture.